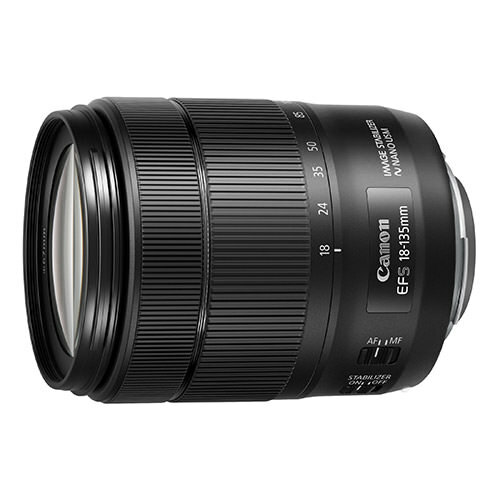 Lens Description: A versatile zoom optimized for both stills and video, the EF-S 18-135mm f/3.5-5.6 IS USM from Canon is a 28.8-216mm equivalent lens designed for APS-C-format DSLRs. 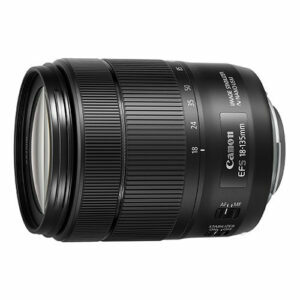 Incorporating NANO USM technology, this lens is characterized by its combination of a fast, stills-optimized ring-type Ultrasonic Motor and smooth, silent video-optimized Stepping Motor for all-around focusing performance to benefit multimedia image-makers. This dual-purpose AF motor also offers notably quicker performance throughout the zoom range for more responsive shooting from near to far. Additionally, also aiding both photo and movie recording, an Image Stabilizer system compensates for up to four stops of camera shake for sharper handheld shooting, and a Dynamic IS function specifically helps to reduce camera shake when recording video. The lens is also compatible with the optional PZ-E1 Power Zoom Adapter for more natural and controllable zooming performance. Updated to suit the increasing presence of video in a photographer's workflow, this zoom is versatile in regard to both focus handling as well as with its wide-angle to telephoto reach.